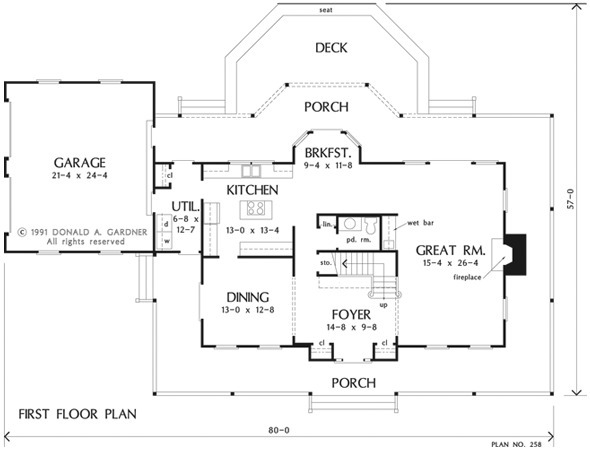 Palladian and arched windows, a double gabled roof, intricately detailed brick chimney and wrap-around porch combine to give this grand farmhouse home plan its timeless appeal. An exceptionally large great room with fireplace and wet bar extends the depth of this open floor plan. The lavish kitchen with cooking island serves the deck and both dining areas. 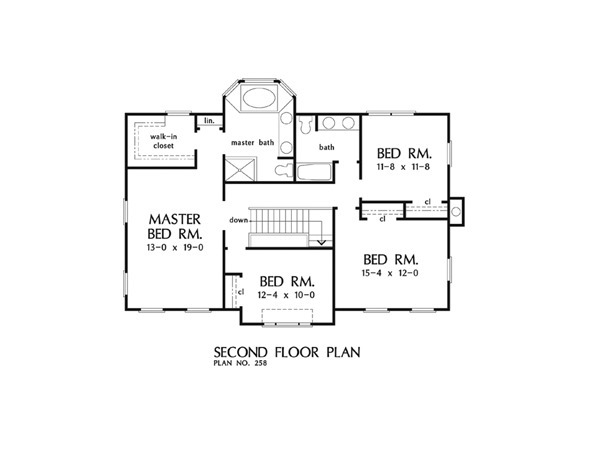 A generous master suite is complete with large walk-in closet and master bath with whirlpool and shower. Three additional family bedrooms are also located upstairs. 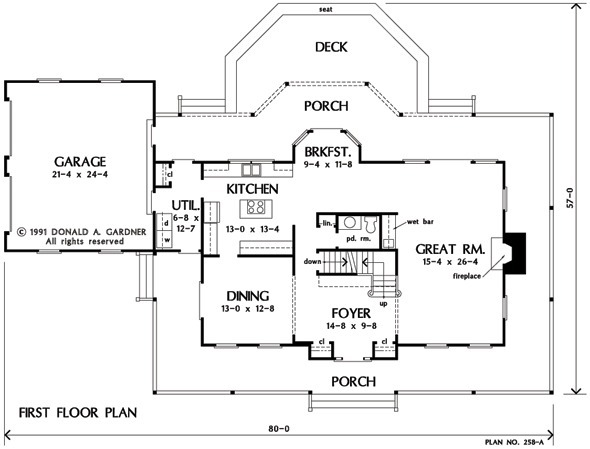 Great Room: 15' 4" x 26' 4"
Bedroom #4 (Vaulted): 15' 4" x 12' 0" x 10' 0"
Porch - Rear : 58' 0" x 7' 0" x 0' 0"
Great Room : 15' 4" x 26' 4" x 9' 0"
Breakfast Room : 9' 4" x 11' 8" x 9' 0"
Porch - Right : 7' 0" x 26' 4" x 0' 0"